It's not hard to tell where you bikes belong on most French trains! All of our current trips start from either Bordeaux or Blois. Others that will come very soon will start from other places in France, notably Dijon. Bordeaux is readily accessible by train from Paris, about 2 hours now on the TGV. Note that on the TGV, you must have a reservation, and, if you want to bring your bike, you need to have a reservation for that as well. You can also fly directly to Bordeaux from a number of other European destinations, notably Dublin, which can make for some interesting side trips before and after your time on the bikes. Blois is veryeasy to get to by train from Paris, and getting to Dijon, it’s hard to beat the train. There’s a direct TGV from the Gare de Lyon that gets you there in about and hour and a half. Dijon is a delightful small town with several interesting sites and an historic center, all well worth a visit. The train system in France, much criticized by the French, actually works quite well. You can check schedules, make reservations & buy tickets quite easily online at www.oui.sncf. 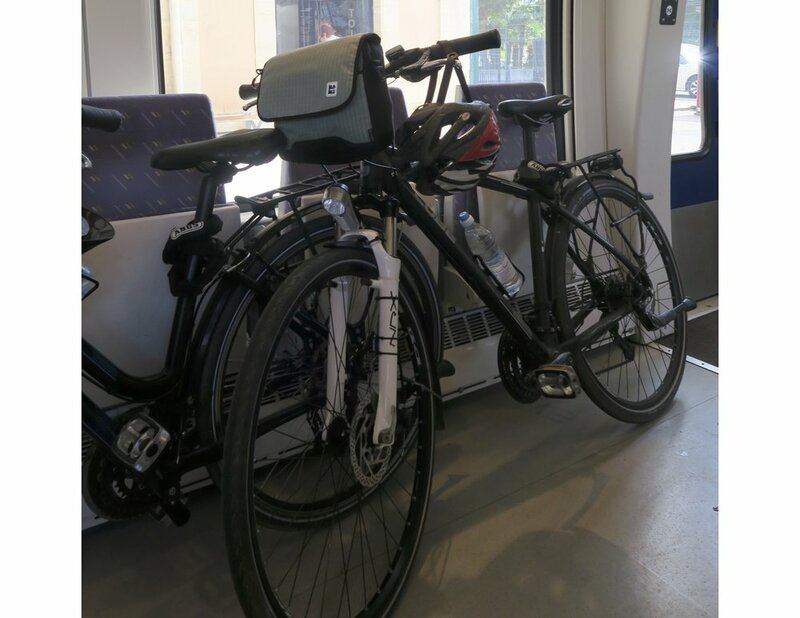 While on your bike tour, it can be interesting & convenient to take the train with your bike from time to time. It allows your to extend your range a bit and opens up possibilities that otherwise wouldn't exist. Most trains allow you to bring a bike for free. On the next screen, scroll down until you see NOUVEAU! Voyagez avec votre velo. (NEW Travel with Your Bike) Click on that. The next screen looks like this. Click the box "Je voyage avec mon velo" ( I'm travelling with my bike), then select the red "Rechercher" (Search) button. Once you've selected the train(s) you want, you'll see this screen, which verifies that it's OK to take your bike! The trick to doing this on the English site is go directly to the link www.en.oui.sncf/en/train-ticket. Once you enter your search criteria, you'll the "NEW! Travel with your bicycle". We know, it's annoying, but we don't know any other way to go about it. If you're traveling by train and taking your bike, there are a couple of things to keep in mind. First, most train stations (Gare) in France were designed in the 19C, so bikes on the trains were an afterthought. Once at the station, you'll want figure out what platform the train is arriving at and leaving from. The bigger the station, the more complex this can be. Getting your bike to the right platform can be a problem as well. Often there's a ramp or elevator, and it's easy. Often, it's a matter of lugging the bike up & down stairs. Don't be surprised either way. There a a number of variations, but you get the idea. A train making a stop at a station on it's way to somewhere else doesn't stop for very long, so be sure you're on the right platform well before the train arrives and that you start to get on/off promptly. Fortunately, there's plenty of warning on the platform about the arrival of the train, so you can be ready. It's not that hard, do it once or twice and you'll be a pro!